Revitalize your bathroom with American Standard Berwick Cross 2-Handle Deck-Mount Roman Tub Faucet in Satin Nickel. 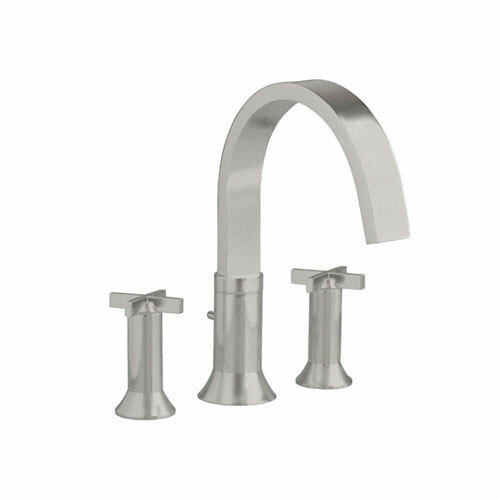 Inspired by the ribbon mills along the banks of the Susquehanna River, this tub filler features an attractive satin nickel finish and a graceful high-arc spout with a 20 GPM flow rate. The convenient handle-alignment system allows you to fine tune the position of the handles, and the faucet's brass construction provides the durability required for prolonged contact with water. Item Boxed Weight: 10.99 lbs.